The Canadian Dollar is destined to succumb to renewed weakness against its US rival in the weeks ahead, according to strategists at TD Securities, as markets focus on the growing gap between interest rates on either side of the US-Canada border. This call comes as uncertainty about the fate of the North American Free Trade Agreement grows larger, with each belligerant remark and new demand from President Trump threatening negotiators' prospects of being able to save the pact, which posits a question of whether the Bank of Canada can meet market expectations on interest rates this year. The USD/CAD rate was quoted 0.02% lower at 1.3304 Thursday after having risen 1.4% this week. The exchange rate is up by 5.7% for 2018. The Pound-to-Canadian-Dollar rate was 0.63% higher at 1.7640 and has risen 4.6% this year. "USDCAD's relentless ascent higher may finally come into noteworthy turbulence with OPEC and top-tier data run scheduled over the balance of the week. Unfortunately for the CAD, this is only likely to provide a temporary reprieve - at best," says Mazen Issa, an FX strategist at TD Securities. "The pair is now highly influenced by its rate differential." The Federal Reserve hinted last week that it will raise American interest rates four times in 2018, rather than on the three occasions markets had anticipated, while some strategists have become increasingly sceptical of whether the BoC will be able to push through even two rate rises.The BoC has typically shadowed Fed policy moves, albeit with a minor lag. Markets have been looking for two more rate hikes from the Bank of Canada before year-end, with one in July and the other in the final quarter, which have been threatened by shaky economy at the start of the year and US-Canada tensions over trade. 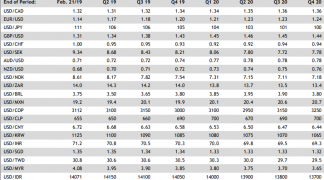 Canadian GDP growth came in at 1.3% on an annualised basis in the first quarter when markets had been looking for a 1.8% economic expansion, mirroring a trend seen across the developed world. But trade data for April showed Canada's exports surging to a record high, suggesting the economy may regained some momentum in the second quarter. Nonetheless, the diplomatic relationship between the US and Canadian leadership has soured and the outlook for NAFTA has dimmed, which could have immediate implications for the Bank of Canada as it poses risks to the economy further down the line. "The recent hysteria has introduced some discussion of whether the BoC will be able to hike next month. To be clear, we continue to look for a hike in July. As far as the data goes, the case to do so remains intact," says Issa. "It could be difficult for the BoC to undo its efforts to condition markets on data dependence just because of a rapid shift in trade tensions." Talks to renegotiate the North American Free Trade Agreement have been going nowhere fast. In fact, NAFTA risks are seen as having risen recently because of an absence of progress in the negotiations ahead of the July Mexican election and due to President Trump and Prime Minister Justin Trudeau having fallen out of favour with one and other at the June's G7 summit. The NAFTA stakes are high for the Loonie because some analysts have estimated the currency could fall as much as 20% if the White House goes for the nuclear option and announces a US withdrawal from the agreement. This would set the clock ticking on a six month termination period but there few signs that this will happen in the next four weeks. 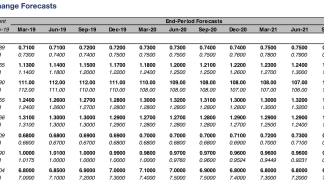 Issa and the TD Securities team say the BoC will likely use July to push through another rate hike but are sceptical of how soon it will be able to raise rates again after that. This is why they expect the differential between US and Canadian interest rates to widen further this year, placing the Loonie under increased pressure. "With the Fed punting for four hikes, the importance of this spread gains additional weight as the BoC will lag even further. Tomorrow's data run will be notable with CPI and retail sales, though with the BoC de-emphasizing an inflation spike (due to temporary factors) we place more weight on the retail print," Issa writes, in a recent briefing. Interest rates themselves are the raison d'être for most moves in exchange rates. Changes in rates, or hints of them being in the cards, are only made in response to movements in inflation but impact currencies because of the push and pull influence they have on international capital flows and their allure for short-term speculators. "We have not minced words on the CAD, as we think it is one of the most poorly positioned currencies in the G10. We keep our sights set on a move to the 1.3350/1.3500 zone in USDCAD," Issa writes. However, as much as the Toronto-based TD Securities team are eyeing further weakness in the Loonie, not everybody has a bearish outlook for the Canadian Dollar. Some say the 13% rise in prices of oil, Canada's largest export, during 2018 should offer support to the currency and that the US Dollar will soon succumb to renewed weakness. 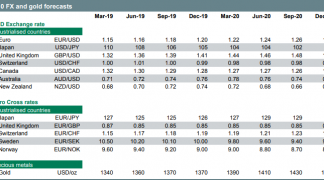 "Cross-asset correlations involving FX have substantially weakened in recent months, including those with currencies that are usually commodity-linked. Though correlations cannot always be stable, oil exports remain a key engine of the Canadian economy. 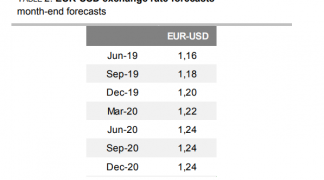 Solid oil prices thus cannot hamper the domestic currency but should instead act as floor and even support it if the correlation eventually recovers," says Oliver Korber, an FX strategist at Societe Generale, in the bank's latest FX Outlook. Korber and the Societe Generale team say that with Brent crude oil prices at $80 per barrel the USD/CAD rate should be trading close to 1.20, not the 1.33 level it was at Thursday. Brent oil was actually quoted around $73 per barrel Thursday after falling steeply this week on fears the Organization of Petroleum Exporting Countries will shy away from continued production curbs at its meeting on Friday. "There is now room to expect further rate increases, possibly as soon as this summer, and the interest rate market is pricing a 40% probability of two hikes by October," Korber says of the Canadian interest rate outlook. "Unless oil prices collapse, we expect USD/CAD to fall to 1.20 by next year."